I liked the beds and cleanliness and location was good and near to city center. The staff is polite, the check-in was quick. Overall the room is okay. The check in and check out are fast and smooth. It's a "bare bones"hotel. You have what you need. 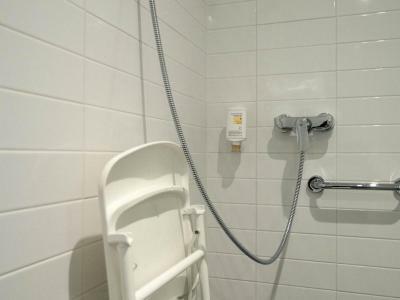 The staff are friendly, the hotel is clean, and it is within walking distance of the city centre and the train station. Overall a good experience. Central location, very close to public transport. Friendly staff, clean room, comfortable bed. I enjoyed my stay. I mean, what you pay is what you get. I liked my room, but it was simply that: a good bed and a good bed to sleep. Don’t expect much facilities but that’s clearly stated in this page and the hotel’s. The staff is really nice. And the location is awesome! Simple accommodations. Staff was helpful and friendly. Space was clean. Decent location. everything was good. polite, clean and good location. the room was small but that was fine for one night. 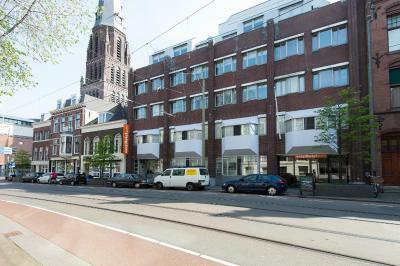 easyHotel Den Haag This rating is a reflection of how the property compares to the industry standard when it comes to price, facilities and services available. It's based on a self-evaluation by the property. Use this rating to help choose your stay! 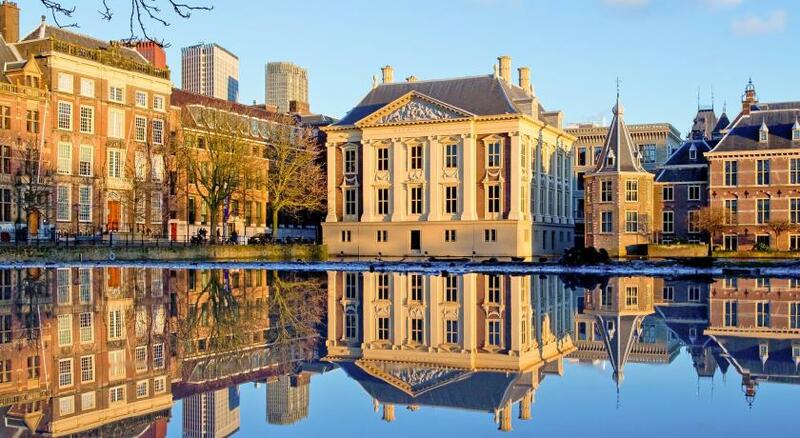 Located within 1,300 feet from the Denneweg and Noordeinde shopping area, the Hofvijver, the Binnenhof (Dutch Parliament) and Mauritshuis, easyHotel Den Haag operates with a unique concept: all rooms are simply equipped. 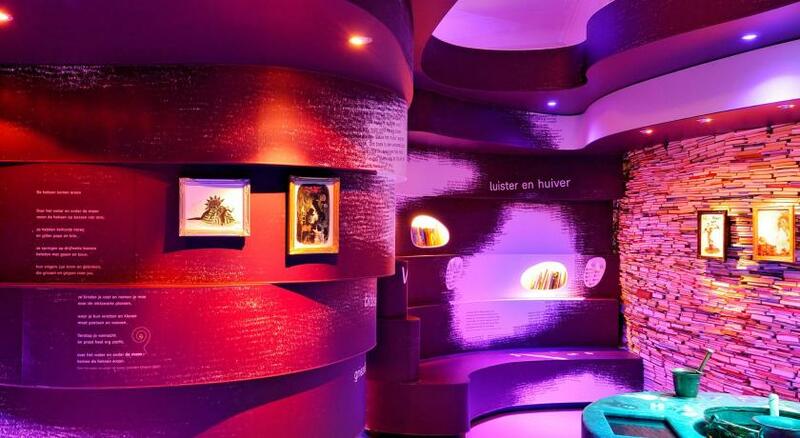 There are cubes in the rooms where guests can sit on. 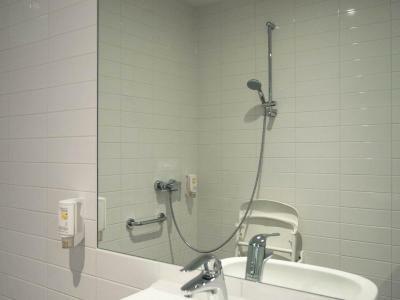 Each air-conditioned room has a modern style and guests can opt for extras, such as the use of a hairdryer and cleaning services for an additional fee. It also comes with private bathroom facilities and free Wi-Fi. 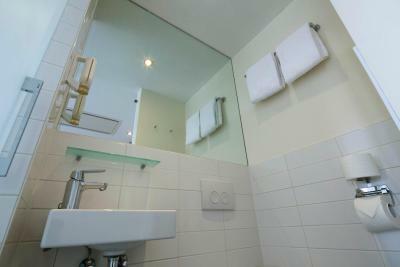 All rooms are provided with towels and bed linen. 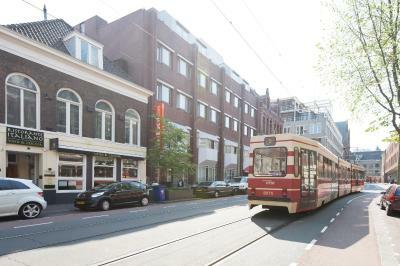 There is a wide variety of restaurants in the vicinity of easyHotel Den Haag. 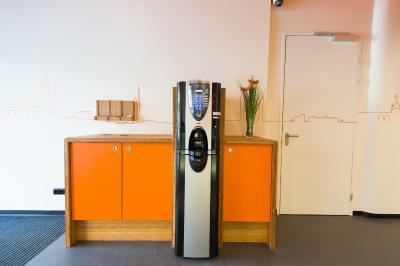 The hotel also offers vending machines where you can purchase a drink or a small snack. 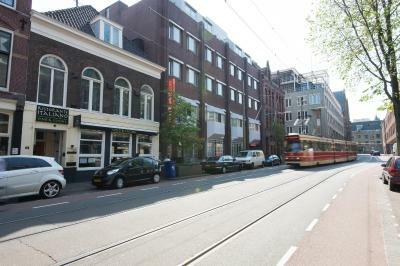 Tram stop Kneuterdijk is a 2-minute walk and offers connection to Scheveningen in 12 minutes. 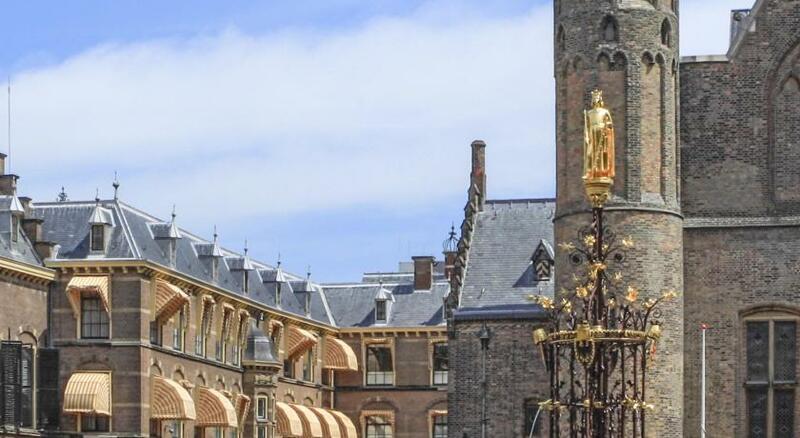 Palace Noordeinde is 1,300 feet away. Madurodam can be found within 1.6 mi and Duinrell is a 20-minute drive. The railway station is within 0.6 mi. 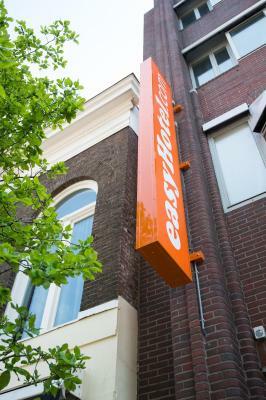 When would you like to stay at easyHotel Den Haag? 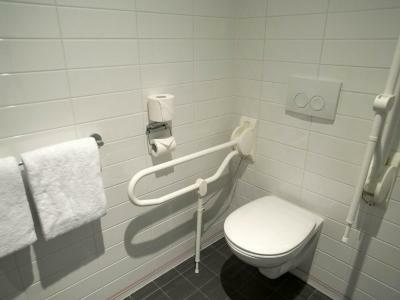 This room features private bathroom facilities. Guests can choose to pay for optional extras, such as cleaning services. Most of these rooms are situated at the front of the building. Public parking is available at a location nearby (reservation is not possible) and costs EUR 17.50 per day. This spacious room features private bathroom facilities. Guests can choose to pay for optional extras, such as cleaning services. 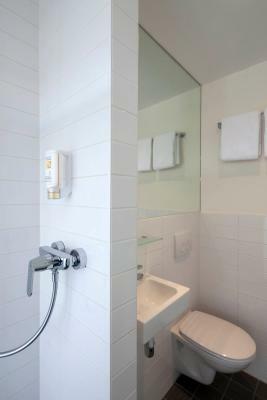 This room features private bathroom facilities. Guests can choose to pay for optional extras, such as cleaning services. This business room offers a desk and a chair. 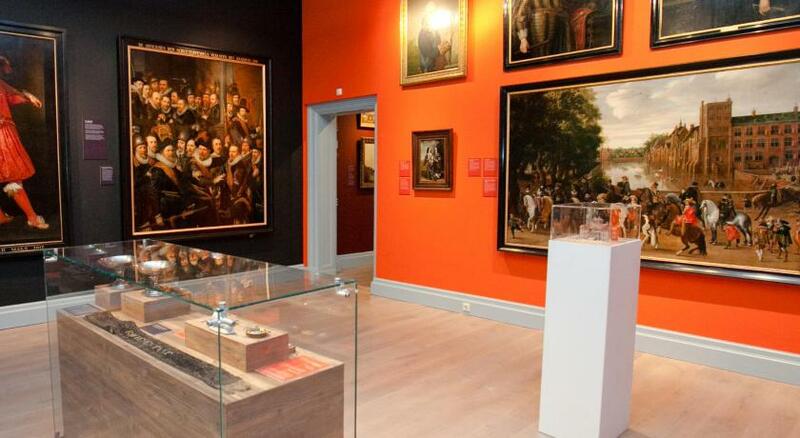 easyHotel offers fully designed rooms at an affordable price in the heart of the city. House Rules easyHotel Den Haag takes special requests – add in the next step! easyHotel Den Haag accepts these cards and reserves the right to temporarily hold an amount prior to arrival. Please note that this property does not offer extra bed or cots as it can not be accommodated in the rooms. Please note the hotel has limited parking space available at a rate of EUR 17.50 per day and cannot be reserved prior to arrival. However there is a nearby parking garage with where parking is available at a discounted rate of EUR 17.50 per day. Guests can choose to pay for optional services, such as cleaning services and luggage storage. 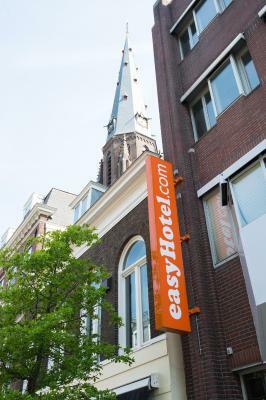 Please note that easyHotel operates with a unique concept, which means that the rooms are simply equipped. Please note that there is no safe in the rooms. This can be rented in the lobby for a small fee. Please also keep in mind that the windows cannot be opened in the rooms. Please note that this hotel does not accept cash payments. It is required to pay with card. The bathroom was a bit small, but the relatively big shower makes up for that. Could do with a bit of sound proofing, especially towards the corridor, since I was able to hear clearly people talking, walking and slamming doors, which can be especially upsetting at night when there's a group of people "partying" all night, walking between rooms talking and laughing loudly and slamming doors. Curtains could be washed more often. The curtin in my room was very stained and dirty. The location was great, walking distance from main interest points. 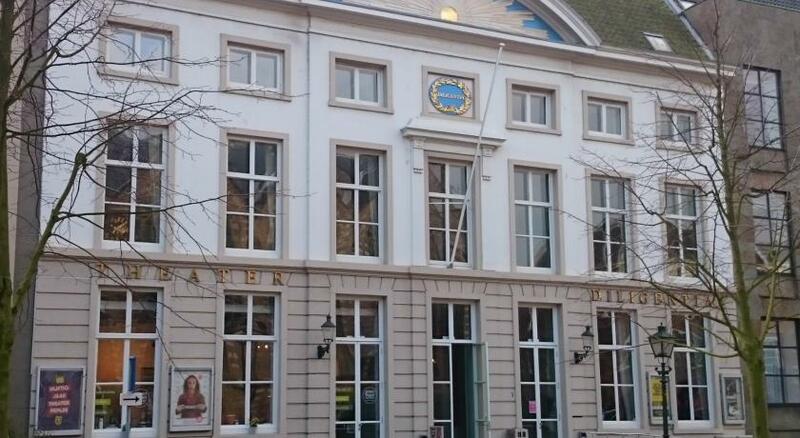 Easy walk to the Central Station, Restaurants, Supermarkets. The staff was friendly and a free room cleaning was included for a long stay. I do not have any complaint. The location was fine. Everything was clean. 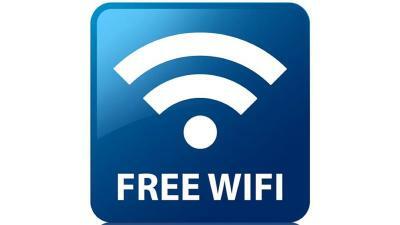 Good Free WiFi connectivity. Everything it was as I aspect. The room was so small we had to go outside to change our mind. The bathroom had no shelf just a very small tray to put toiletries. No place for clothes but floor. All would have been OK but not for over $100 a night. Not worth the cost. Spartan and definitely “niet gezellig”. No desk, metal bedside table, no hot drink making facilities in the room - the machine in the lobby dispensed a tiny amount luke warm hot water at the extortionate cost of a euro. Small thin towels and no bath mat towel. No plug in the basin. Whilst I can see the advantages of hard surfaces over soft for keeping a room clean adding touches like hot drink making facilities and nice big fluffy towels might make the room more welcoming. I actually dreaded going back to it. It was clean. Paper cup tooth mugs more eco friendly than plastic. Window opened for fresh air. Central location on direct bus route from station. Very small room. Parking for car very expensive! 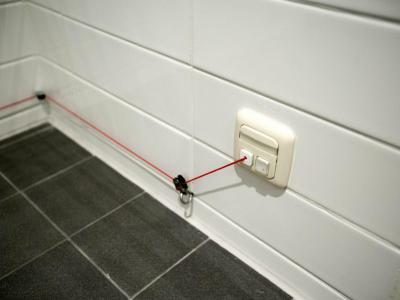 Insane bathroom piping - if somebody flushes the toilet while you are taking a shower, for a short moment you'll start getting only a boiling water from a showerhead. That was really painful. Staff was helpful and manually fixed an error in their system which would make us to pay unnecessary city tax for our children. I didn’t liked the door of the toilet, and hotel staffs get you 1 euro for each luggage for keeping if you arrive earlier than check in time our if you left your luggage after checkout time in hotel .